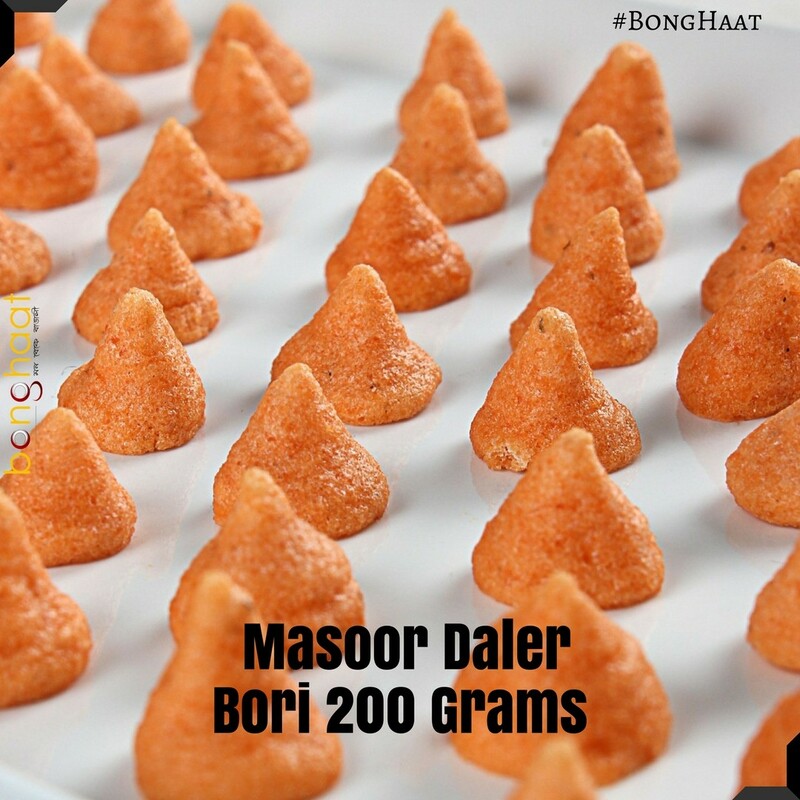 Buy best quality Daler Bodi (ডালের বড়ি) from Bong Haat. This Daler Bodi (ডালের বড়ি) is made of fresh pulses at home. The quality and hygiene is maintained while making these Daler Bodi (ডালের বড়ি). With this product, you earn 2 loyalty point(s). 2 points = ₹0.20.